One of the best features about Android devices is the fact that you can tweak them as much as you want as per your liking and requirements. The only issue is that people usually do not know how to get into the developer settings to make the necessary changes. 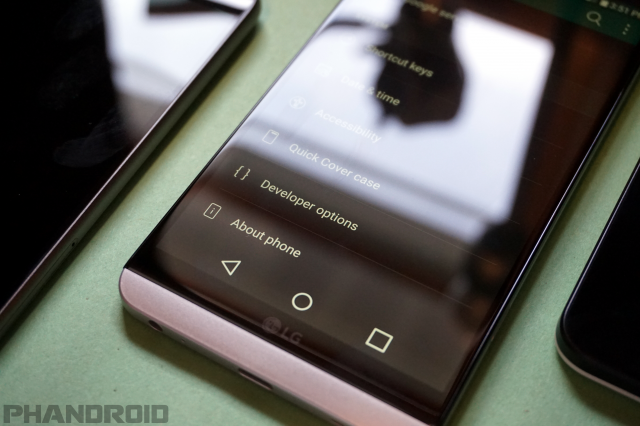 Our friends at Phandroid have taken the liberty to share with us today the benefits of enabling the hidden Developer Mode options that lets you make a number of changes to the system settings . Stop tapping when it says You are now a developer! As we mentioned above, there are several nifty tricks you can do with the Developer Options. 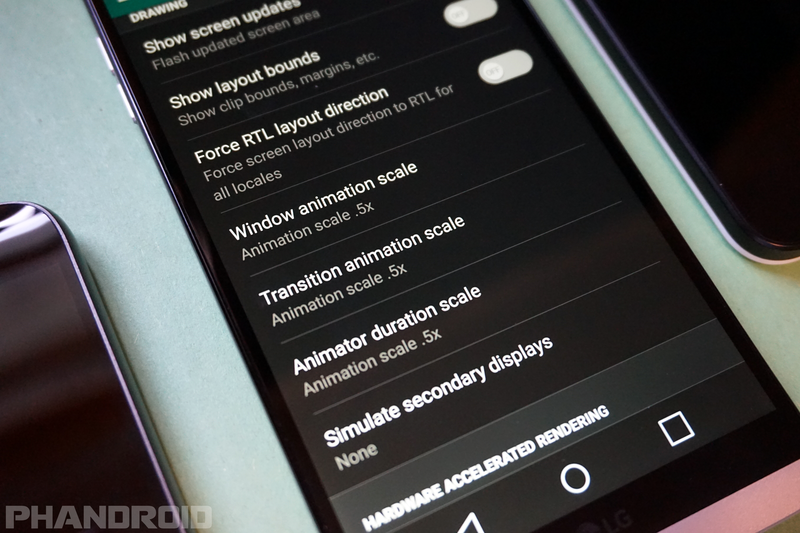 The trick we always recommend is speeding up animations and transitions. This will make your phone feel faster when you’re opening apps and moving through the UI. Every Android user should know this simple trick. You could completely turn off the animations, but we still like to have a little flash. Once you’re all done, go back to the home screen and turn off the display using the power button. Wake your phone to enjoy a speedier, more clicky fast UI. Android 7.0 introduced native multi-window mode, but not all apps support it. In fact, a lot of apps don’t support it, which makes it not very useful. There’s actually a way you can force compatibility with the new feature, all you have to do is dive back into the secret Developer Options. Now you’ll be able to open any and all apps in multi-window mode. 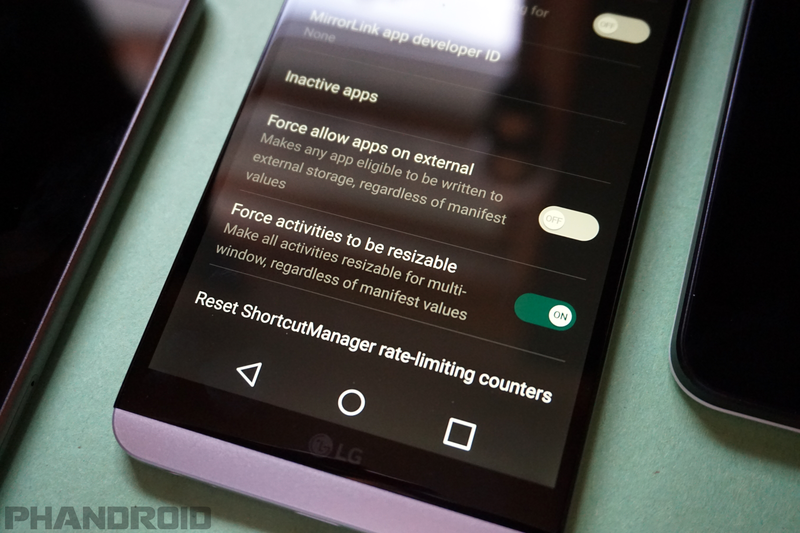 We should note that some apps may force close when you put them in multi-window mode. Apps that don’t support it will say “This app may not work with multi-window mode,” but most of them still work just fine. Note: Please make sure that these are settings are quite sensitive and care should be taken while making the changes so as not to make changes to any unknown system files. Talk Android Phones will not be responsible for any type of software damage (if incurred) during this whole process.